The original Pz. 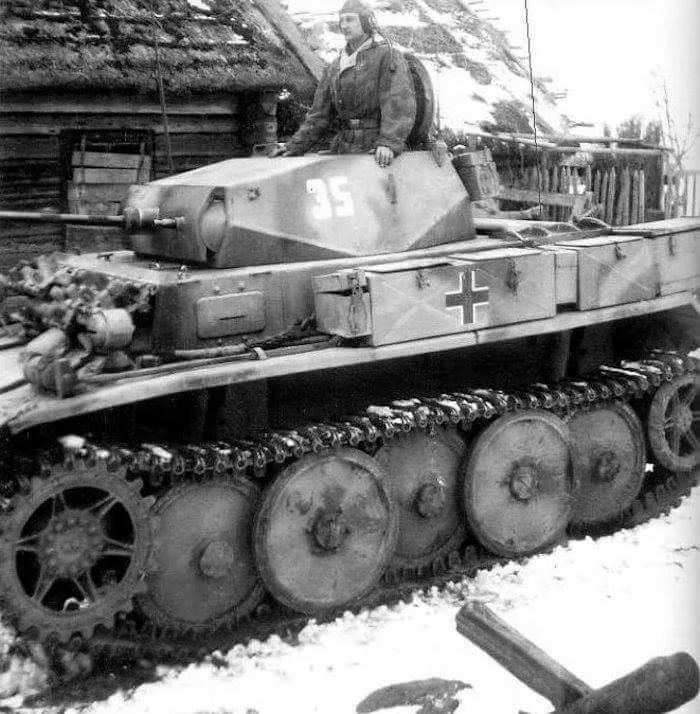 Kpfw II dates back to the early 1930's and was intended as a small reconnaissance tank for the new Panzer Divisions. 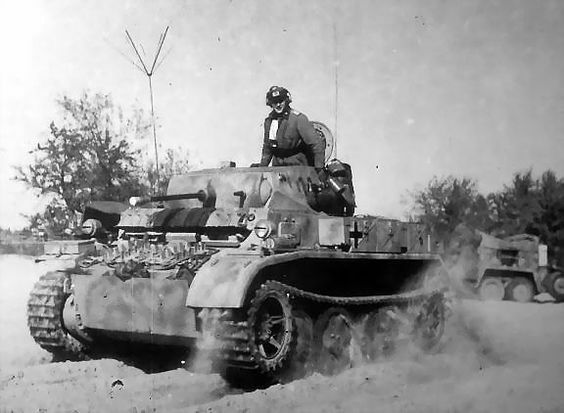 The Pz.Kpfw II Ausf L was the last of the series and was a complete re-design from earlier models. It featured a new suspension with interleaved road wheels, improved engine and 6-speed transmission. 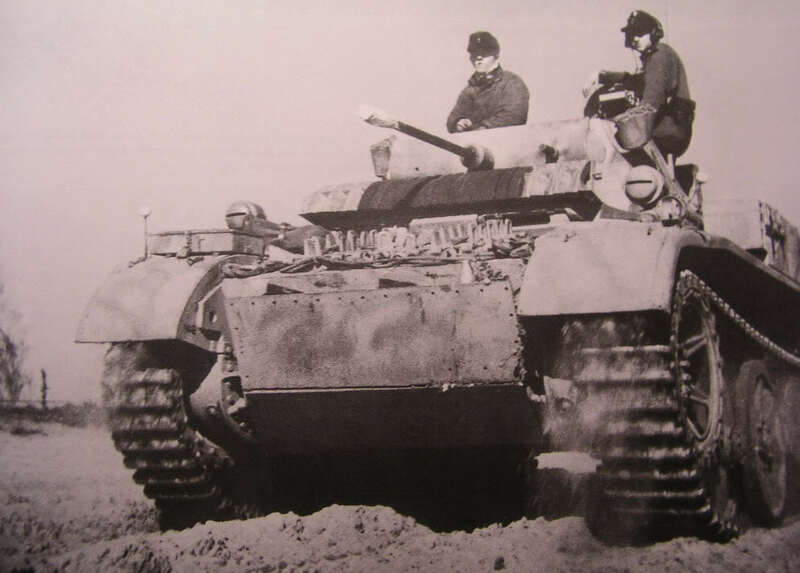 It was the largest and fastest tank in the series with a road speed of 58km/h. It was called the Luchs (Lynx) and was built from September 1943 to January 1944 by MAN and Henschel. In all of these pictures you can see the crews of the tanks, please take note for the figures we are also looking at from Classy Hobby. Of the 800 tanks ordered, only 100 were built, with another 4 converted from Ausf M hulls. Armament remained the same as on earlier models, though the 20mm cannon now obsolete. 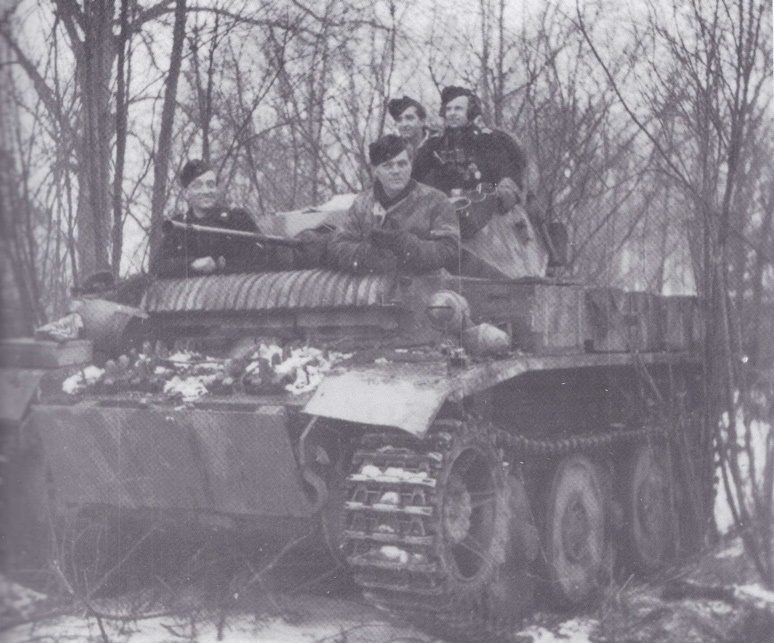 Most Luchs saw action on the Eastern Front until the end of the war. 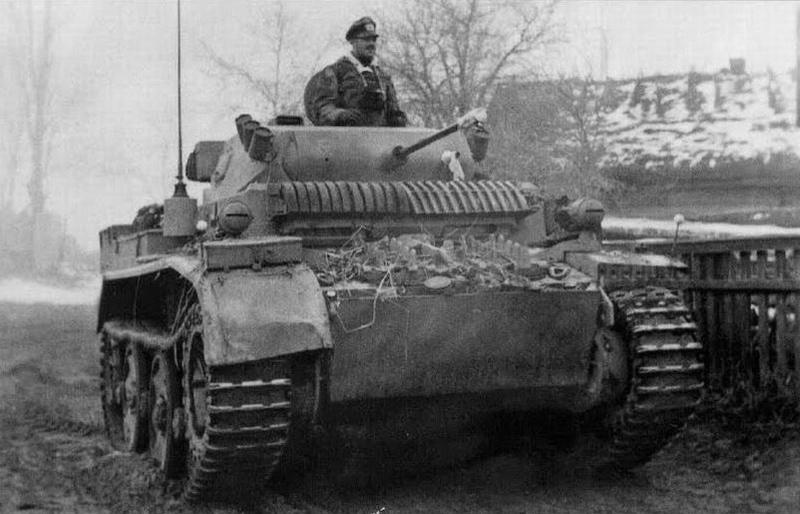 The Luchs was to have been replaced by the larger VK1602 Leopard armed with a 50mm gun, but excessive weight caused that vehicle’s cancellation. 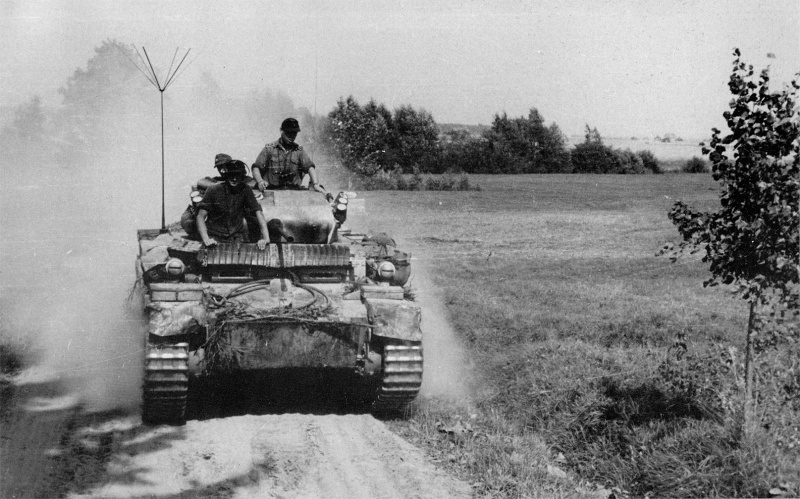 The ''Luchs'' was commissioned into the armoured reconnaissance units 4th & 9th Tank Divisions. The ''Luchs'' first went into action in October 1943 in the Ukraine. In May 1945 the 4th Tank Division possessed seven ''Luchs'' in combat condition. The ''Luchs'' was deployed on the Eastern front, in Italy, Normandy and Germany, gaining positive ratings from the crews. 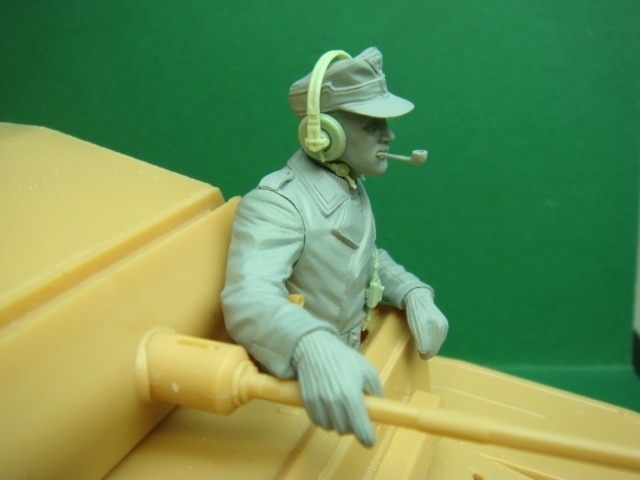 The picture below shows the addition of a rectangular 12mm thick armoured plate at the hulls front and spare track links on the glacis plate and a light rounded steel guard just above the visors of the driver and the radio operator. The photo was taken in Kurland, December 1944." 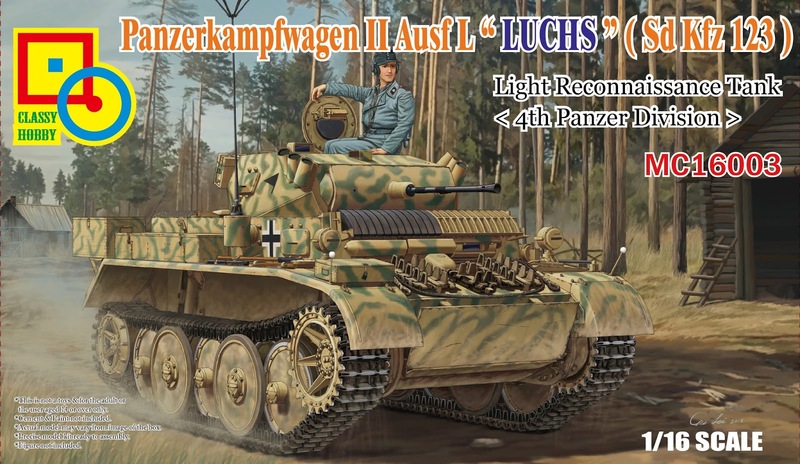 We know that the 4th Panzer's Luchs were operational until at least March in 1945 so you could have these in many liveries due to their long service in the war. 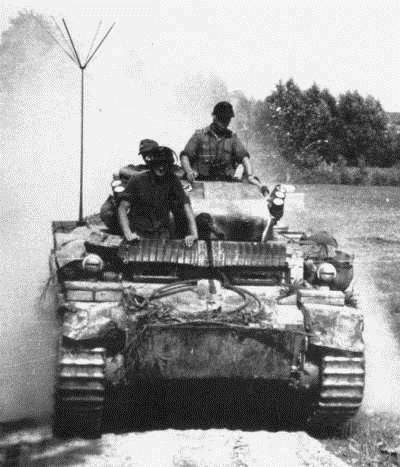 The additional front armour was a field modification that was only made to 4th Panzer Luchs. This is shown on the box art. 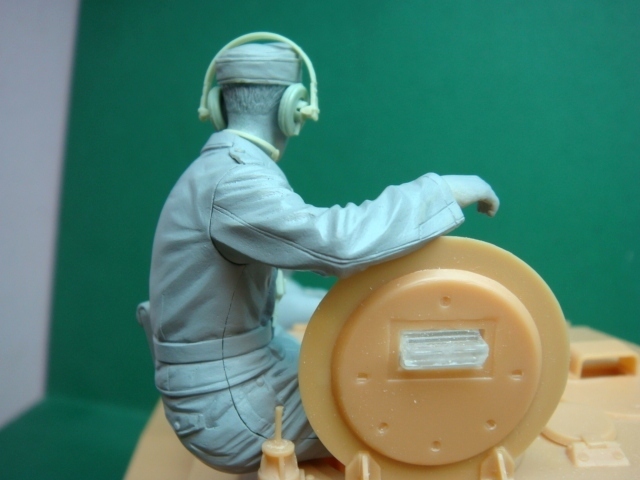 This 1/16th figure in styrene injected plastic is seen here in some nice detail for the medium – he has to be I suppose due to his larger size. 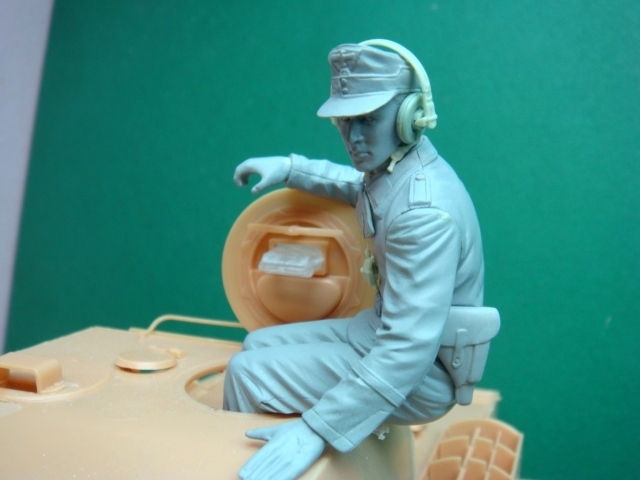 Sitting on the side of his turret and looking to the left, he is wearing all of the usual accoutrements of a wartime panzer commander. 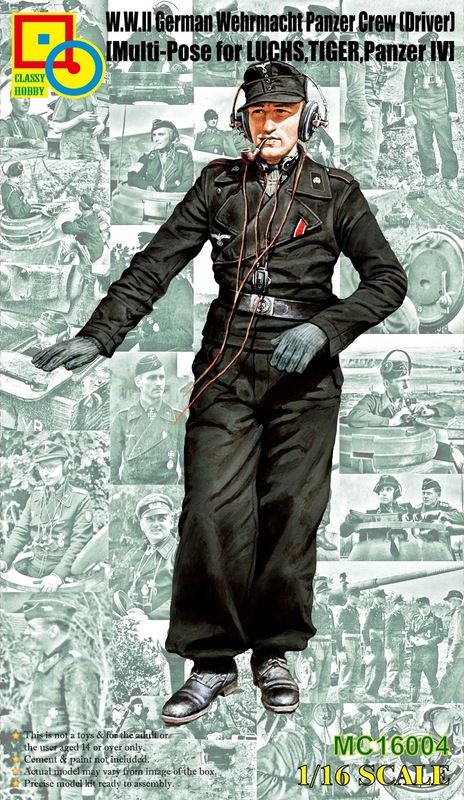 We can see his short Panzerjacke and uniform pants as well as thick leather gloves. You can see by looking at him from the rear and sides the thick seams in his uniform that can be picked out, also of the nice folds and pinches in his uniform that will aid the painter. As he leans on his turret hatch you can see that Classy Hobby has added his R/T equipment also which makes him a much more detailed proposition. 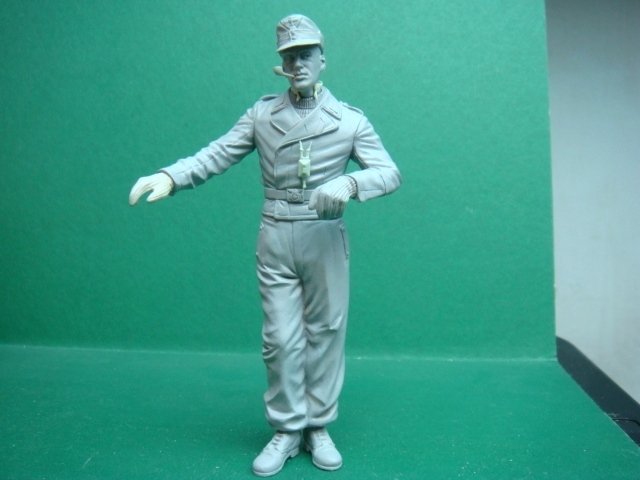 All of the details on his uniform, belt, and insignia can also be picked out in this scale. Again with this driver in 1/16th plastic injection, you can see the detail has not been spared from the sculptor. 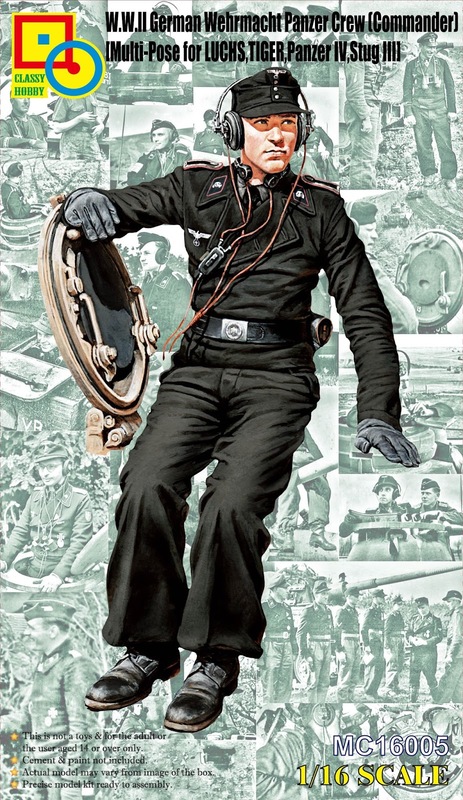 This fellow tokes on a pipe (how very Germanic) and he could well be in the same tank as his commander – his uniform is the same almost – with the Panzerjacke pinched at the waist over his uniform pants. This fellow is wearing a jumper under his jacket instead of a uniform shirt and tie like his commander. 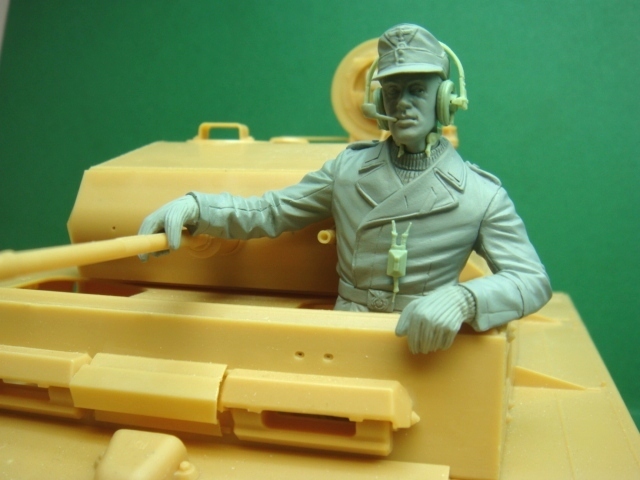 He sits nicely in the hull of the Classy Hobby Luchs – and he should suit both boxings of the kit. You can see in this picture his thick uniform woollen grey gloves resting on the barrel of his tank and other hand flopped over the hull. Again he has all the usual R/T gear and this and the pipe, combined with the different peaked hat and woollen gloves make him different enough to his commander to make this a viable pair to use in the same tank if you would like to. 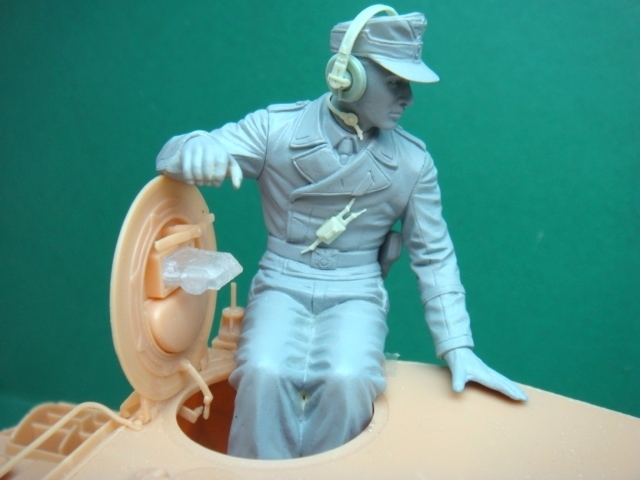 However – like the name suggests, there are several German AVF’s this and the commander figure could be used in.